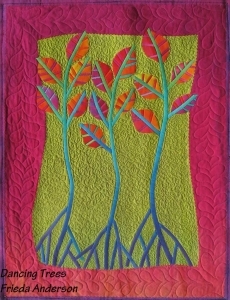 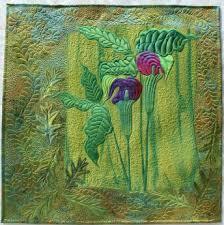 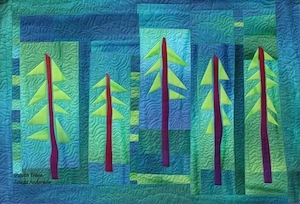 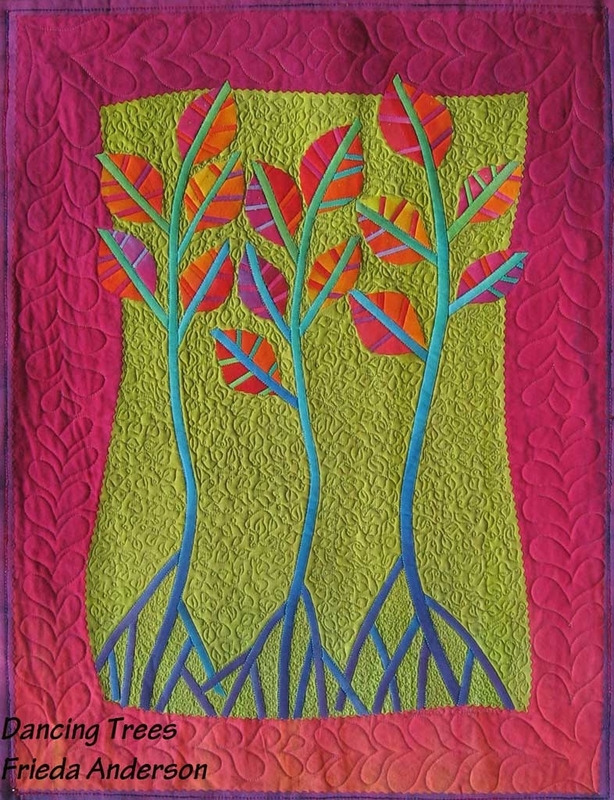 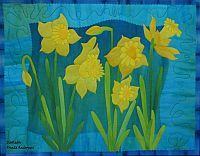 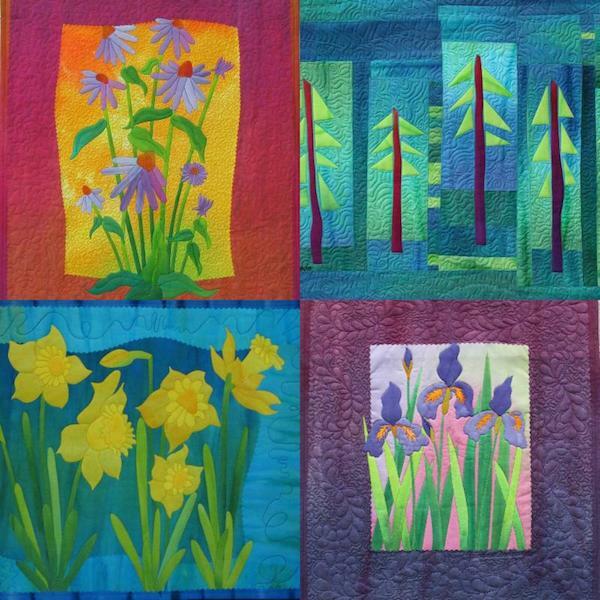 Enjoy working with rich colors and textures while making this art quilt featuring flowers or trees. 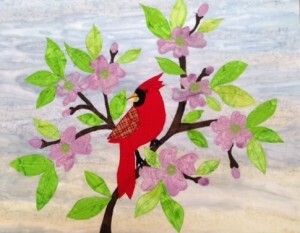 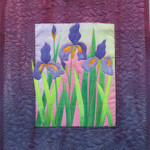 Learn raw edge applique using fusible web in this quick and easy class. Choose one of Frieda’s patterns for your favorite flower – daffodils, asters, lilies, irises – or tree design and now a cardinal! 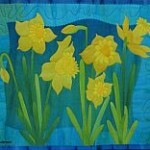 Perfect for beginners but challenging enough for the experienced quilter as well. 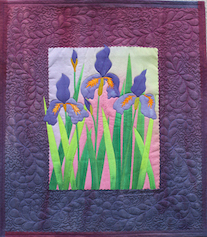 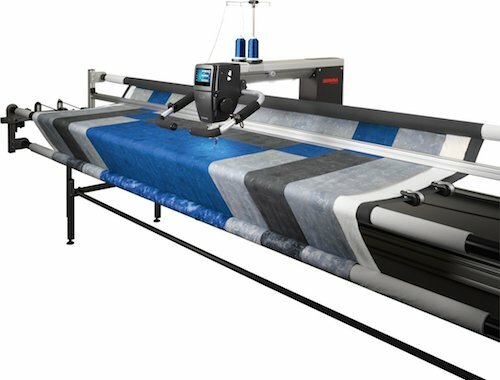 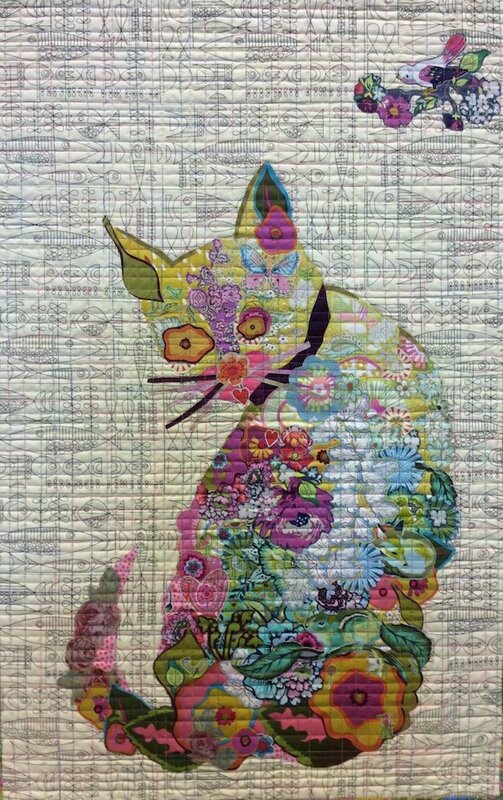 Your project should be easily completed in the class and ready for you to quilt and embellish at home. 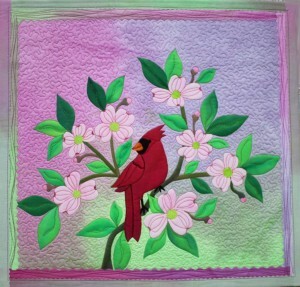 Please purchase pattern and supplies before class.